Easy removal of the mesh which leads to less down time due to chocking. Hardened tempered specially designed rectangular beaters. Grater plates are provided to ensure efficient pulverising. Alloy steel well balanced rotor shaft supported on self aligning double raw spherical roller bearing ensure a very smooth, vibration free rotation of the rotor. 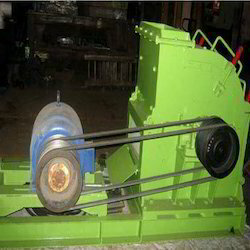 Hammer mill and motor mounted on a single base frame with shock absorption rubber padding.